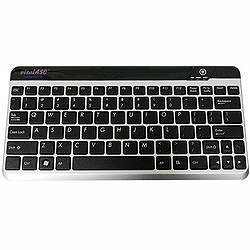 Reviews: KB10KA-S Ultra Slim Bluetooth 3.0 Keyboard (Silver) [KB10KA-S] - $22.99 : vitalgodirect online store, Buy vitalASC Android 4.0 ICS Tablet PC directly! Five stars Nice little keyboard, works fine and connected to the Blutooth easily. Date Added: 11/05/2014 by Jennifer C.
Date Added: 03/03/2014 by Robert S.